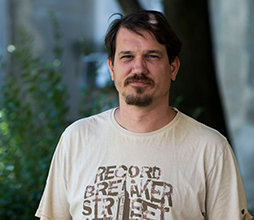 Miroslav Petrović is the Head of Research Office (RO) at the Faculty of political science – University of Zagreb. He holds an MSc degree in Political science, French and Spanish philology (University of Trier, Germany). He has >10 years of professional experience in all areas of project cycle management and >8 years of professional experience in research support services for different faculties of the University of Zagreb. Since its establishment in July 2014, the RO has managed >20 grants from international donors (FP7, ERASMUS+, LLL, Europe for Citizens, ESF, IPA, NORGLOBAL, SNSF, US EMBASSY, etc.) and >30 grants from national donors (Croatian Science Foundation, Ministry of science, UNIZG science support schemes, Croatian Agency for electronic media, etc.). Before joining the Faculty of political science in July 2014, Miroslav worked as a free-lance consultant from 2011 to 2014 (fundraising and PCM services for academic & civil society sector and Croatian SMEs). From 2012 to 2014, he also worked as business development manager for the Croatian start-up company Publiconn ltd. He worked as project analyst at the Centre for research, development and technology transfer at the University of Zagreb (World Bank IBRD 7320-HR Science & Technology Project, 2009-2011) and as EU project assistant at the Ministry of Finance (CARDS 2004 - Strengthening the Public Internal Financial Control Structure in the Republic of Croatia) from 2007-2009.